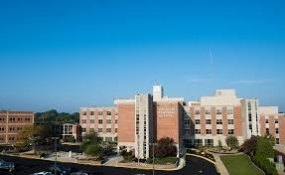 April 15, 2019 – DMH’s Wound Center has been recognized with a National award for clinical excellence. The Center of Distinction Award by Healogics, the nation’s largest provider of advanced wound care services was presented to DMH for outstanding clinical outcomes for twelve consecutive months, including patient satisfaction higher than 92 percent, and a minimum wound healing rate of at least 91 percent within 30 median days to heal. There were 621 Centers eligible for the Center of Distinction award and 423 achieved the honor.